Local training address: Åsögatan 153, Södermalm, Stockholm. At SWI you can train wushu/kung fu with qualified instructors. Our style is traditional Shaolin Kung fu and Sanda. We also have classes för kids. You are welcome to a free trial class! 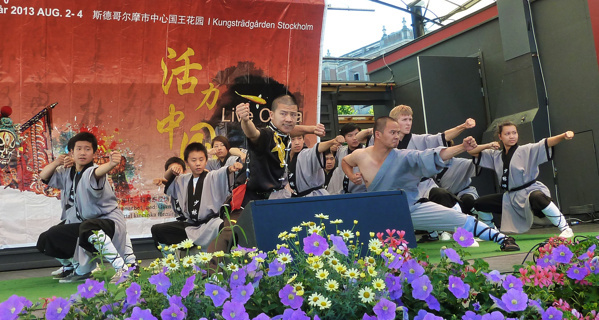 Our training is based on traditional Shaolin kung fu, which is a northern kung fu style derived from the Shaolin Temple in Henan province, China. Shaolin kung fu is one of the oldest martial arts systems in the world. Sanda or Sanshou is the internationally recognised rule system for competitive fighting within wushu. It is a full contact sport that includes stand-up fighting with punches and kicks against the legs, body and head, together with throws sweeps and takedowns. We have kids training classes for children between 5 and 12 years old. These classes aim to lay the foundation for further training in Shaolin kung fu.